Marketing research – a systematic search, collection, analysis and presentation of data and information relating to a specific market situation encountered by the company. Marketing research can also be defined as the systematic collection, recording and analyzing data for marketing and marketing issues in order to improve the quality of decision-making procedures and controls in the marketing environment. 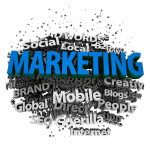 There are a number of similar and different definitions of marketing research. Monitor the progress of implementation of marketing objectives. Global market research purposes – this is information support of marketing, that is, gathering the necessary information and analytical support, consisting in the use of mathematical models to analyze data and to obtain their forecasts and by the possibility of making optimal decisions. At the macro level, market research should identify and model the patterns and market trends, assess the market situation, identify market size and forecast demand. At the micro level provides assessment, carried out an analysis and forecast of the firm’s own capabilities (its capacity and competitiveness), the state and prospects of development of this market segment in which the company operates. Ukrainian market is a complex environment that includes thousands of products. To define the proper list of products, which should be released on it and grant the further success, the company should first analyze information about present situation on the local market. It is very important to understand if the product will be interesting for potential customers or not. Using our marketing study you can obtain the data about market volume, list of competitor products and manufacturers, review of the changes during last several years and information about present prices in the market for competitor products. It usually takes about 1-3 days to provide you with market study for one product, 5-7 days for 10 products. Sales in units and in US dollars in group for the last two years. Current prices for competitor products on the market. Top-10 competitors in group with list of their products. Sales of mentioned above competitor products for the last two years in USD and in units. indications and description of product.